Honda have a long history of cool 125s to tempt your wallet from its hiding place. From sporty four-stroke CBRs and two-stroke NSRs, to rugged CG125s and scooters, this pair keeps Honda's tradition of exciting 125s alive. 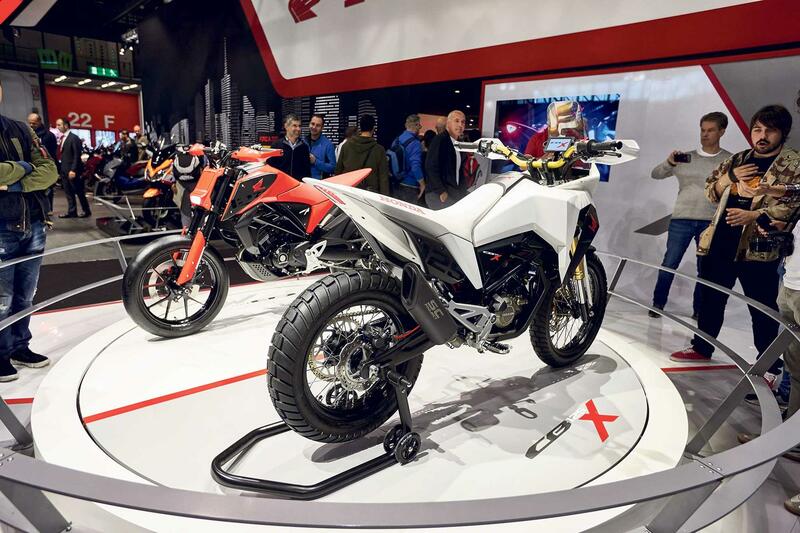 Revealed at Eicma in Milan, the concepts have emerged not from Japan, but from Honda’s Rome R&D centre design studio, which has been responsible for most of the firm’s funkier releases of late. Based on the recent Honda CB125R production bike, the CB125X and CB125M have been inspired by the 25% growth of 125 sales in the European market. Designed by Project Leader Valerio Aiello and his team, the CB125M is a naked streetbike that looks like a cross between a dirt bike and streetfighter, while the CB125X is an equally aggressive looking adventure bike. Each are super-minimalist and boast ultra-sharp designs that use LED lighting to maintain the minimalist lines, and high-end looking SC Project exhausts. While they're clearly nowhere near being production-ready, Honda's recent form for releasing the real deal with the majority of the styling cues intact gives us hope that the burgeoning 125 market will get this pair of protagonists for 2020.